Project Based Learning (PBL) offers students the opportunity to explore and solve authentic, complex, open-ended problems. This approach encourages deeper learning, makes students more accountable for their own learning, and when implemented well, really engages students in what they are learning. 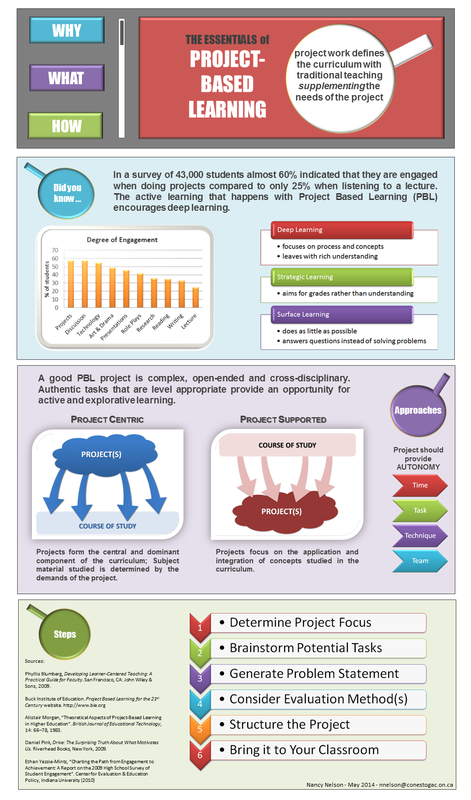 Read more about why PBL is a useful methodology, what PBL is, and how to implement it in the Project Based Learning post in the PBL section of this blog. See the slides from today’s presentation here . This entry was posted in active learning, authentic learning, CEDP, education, project-based learning, Uncategorized and tagged active learning, authentic learning, higher education, PBL, project-based learning. Bookmark the permalink.